Under the framework of UNESCO’s World Day for Audiovisual Heritage 2016 “It’s your story – don’t lose it". Bophana Center, with the support of UNESCO, presents an exhibition entitled "It’s Our Story - Memory of the Village by Khmer Rouge Survivors" in order to highlight the importance of audiovisual memory preservation. The exhibition will consist in video installation of testimonies of Khmer Rouge survivors who worked in diver fields, such as cook, head of child unit, teacher, head of mobile unit, etc. 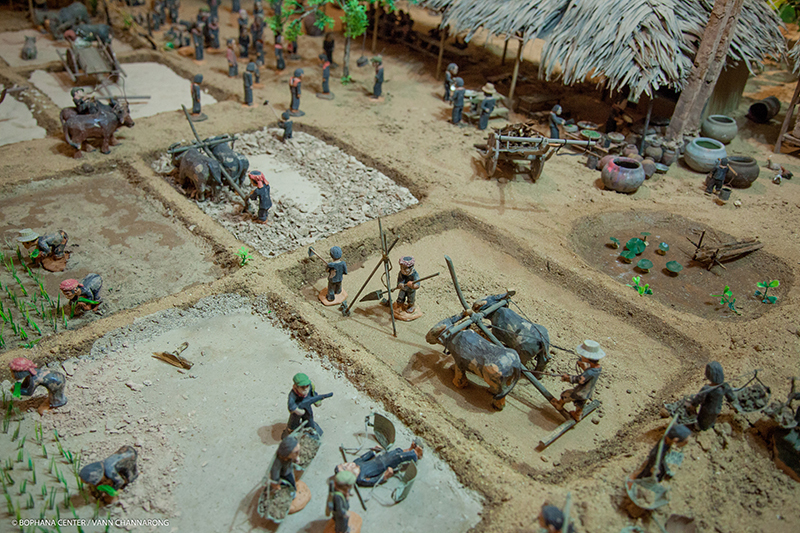 A clay village made by the artist of the film “Missing Picture” will also showcase the daily life of the village people under the Khmer Rouge.